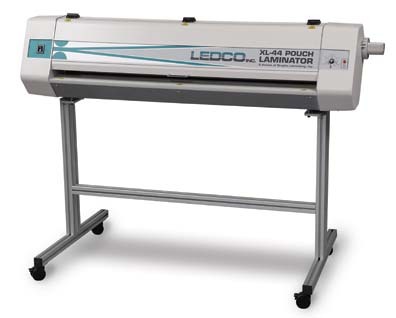 44" Ledco XL44 Pouch & Mounting Laminator can mount & laminate up to1-1/2" thick and now with 2 year warranty. 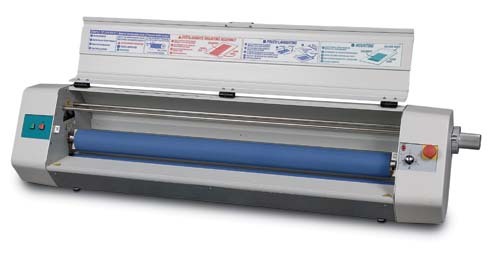 The XL44 mounting laminator is available is 110 or 220 volt and has factory preset pressure and speed, making it one of the most simple machines to operate. Virtually no training is needed for pouch laminating, mounting or pouch boards in a variety of finishes.